Project Forwarding is one of the most complex management tasks one can undertake. For Lysander Shipping such jobs are just a usual part of our daily routines. Project forwarding on a global scale is our core business and speciality. We have the experience, the contacts and the staff to move any out-of-gauge or heavy-lift cargo around the world. Equally, arranging and moving cargo suitable for containers are done with the same precision and commitment which we are giving to project cargo. Let Lysander Shipping be your worldwide partner for your project cargo. We have the transport solution you are looking for. 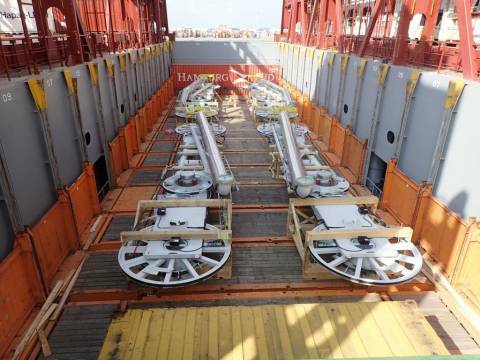 Lysander arranged the shipment of LNG loading arms for the for the new LNG terminal in Cristobal Panama. The 8 units where up to 15 meters long each and was shipped as container bulk with Hapaq- Lloyd. Registered Office: RJJ House, Haven Exchange South, Felixstowe IP11 2QE. Contact Email: kl@lysandershipping.com. Registered in England.